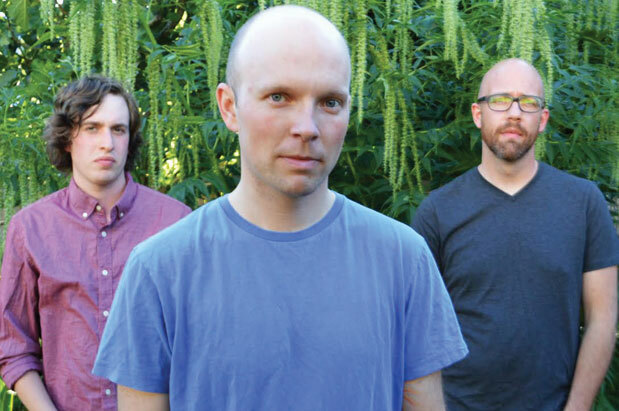 If you’ve been following the career of David Bazan (center of main photo above) you know he moved from lead singer and songwriter for indie-darling band Pedro the Lion to existential crisis to creating acclaimed solo work. 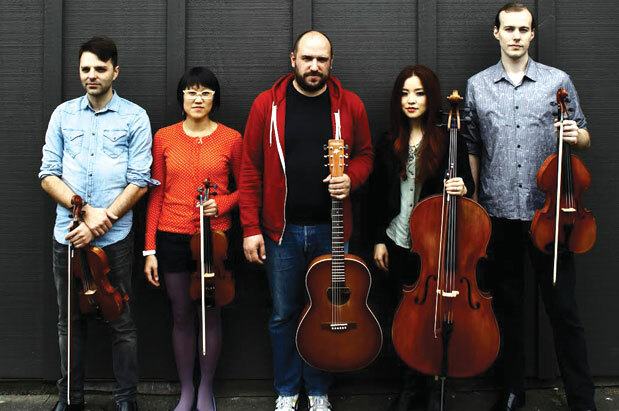 For his newest album, David Bazan + Passenger String Quartet, he bonded with Seattle’s most sought-after experimental neoclassical backing band, led by Andrew Joslyn. Bazan’s beautiful voice recalls Elvis Costello, and is a perfect, scratchy complement to the beautiful strings aching underneath. 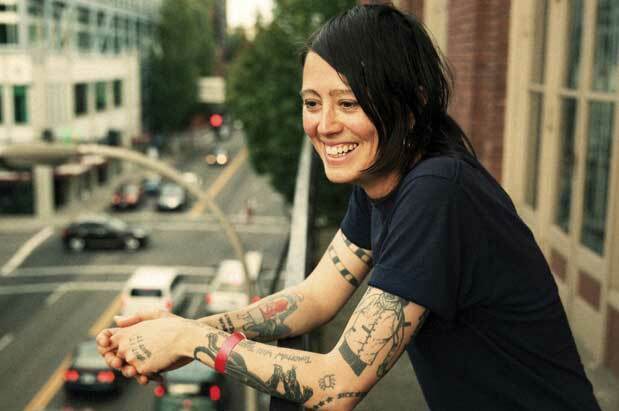 Jenn Ghetto, former lead singer of dearly departed indie rock band Carissa’s Wierd [sic], is back in the form of the moniker S (under which she’s released several prior solo records). The dreamy new album, Cool Choices—produced by Death Cab for Cutie’s Chris Walla—is a breakup record of the best kind. Gorgeous melodies swim above propulsive guitar and drums, carrying emotionally raw (and sometimes bitingly funny) lyrics that feel both incredibly personal and universal. Local musician-of-all-trades Levi Fuller (of The Bushwick Book Club music collective, quarterly audio magazine Ball of Wax, Hollow Earth Radio disc jockey, singer-songwriter, etc.) is working with a new backing band, The Library, and has a new record, The Wonders That There Are. The songs are as diverse as Fuller’s many interests—strummy folk ballads buddy up against soaring guitar rock and songs tinged with jangly ’60s psychedelics. It’s a marvelous ride.